Things have been getting nuts around Christmas-time. Abigail is now old enough to appreciate how awesome things are this time of year. 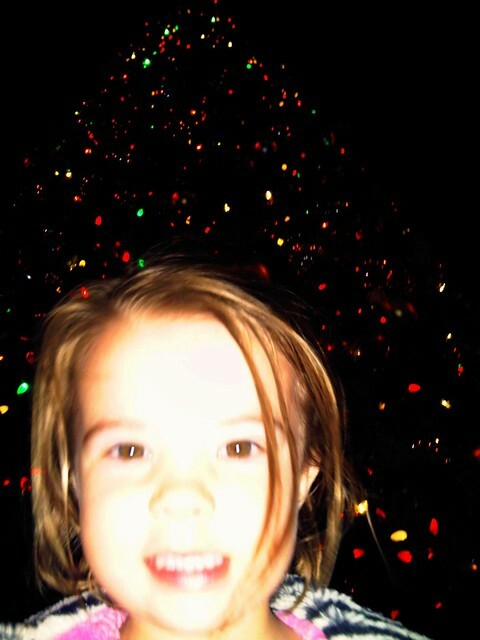 First she sees a few Christmas lights. The next night there are more. The next night we drive to a crazy person neighborhood where everyone decides to spend their annual vacation budget on Christmas lights. 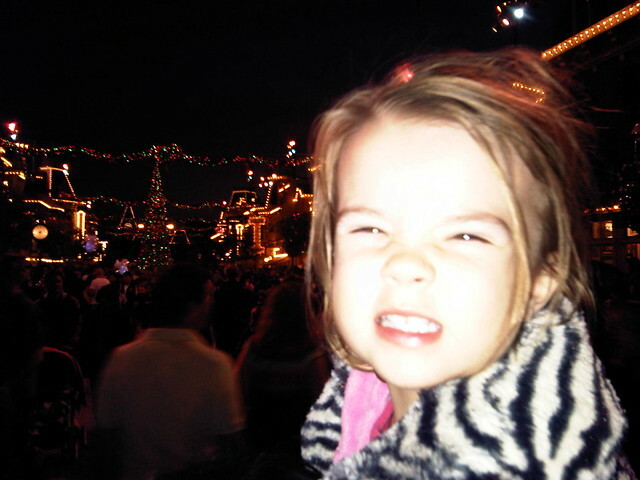 Then we go out to Del Mar, to take an open air hayride to see lights. Then we … er, Santa gets her a new bed. Basically she’s constantly over stimulated, so we thought it was time to take things down a notch. 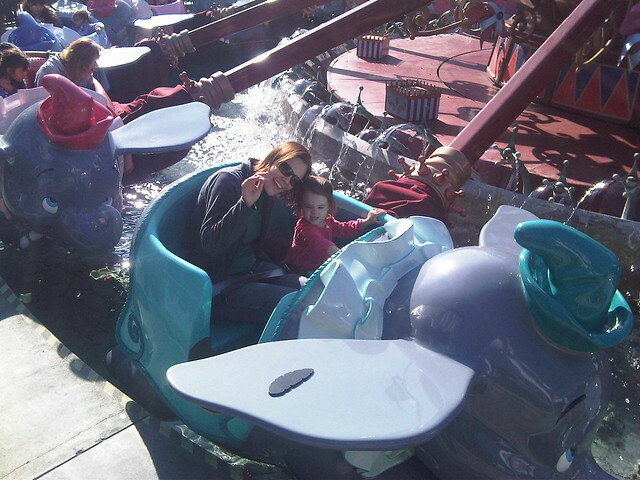 Naturally, we went to Disneyland. This photo should illustrate two things. 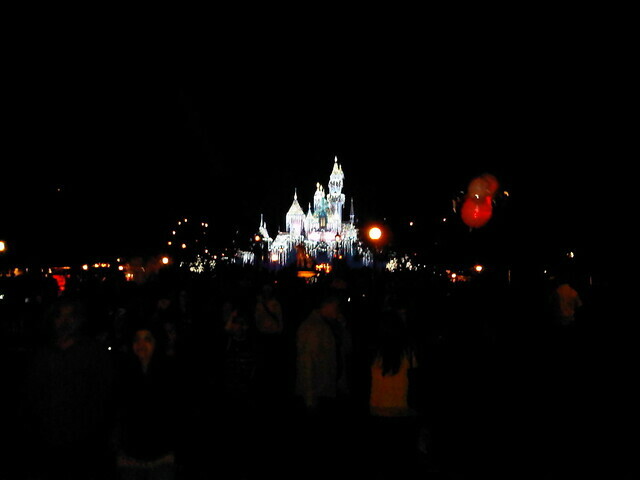 First, we’re at Disneyland. 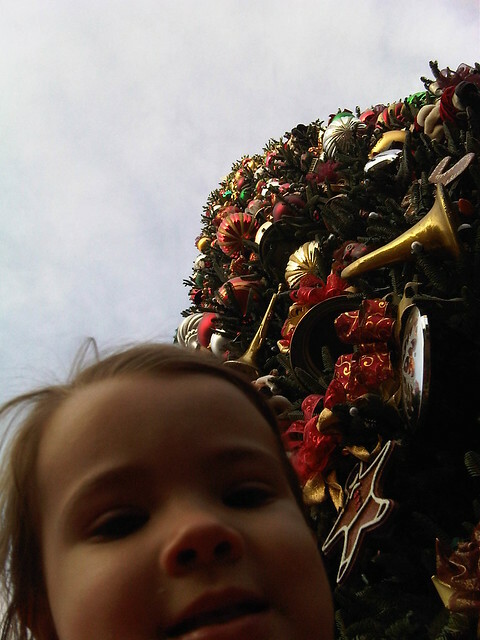 Obviously that’s the Disneyland tree. Second, true to our standard Disneyland tradition, we brought only cell phone cameras with us. Maybe this one will make the location clearer. 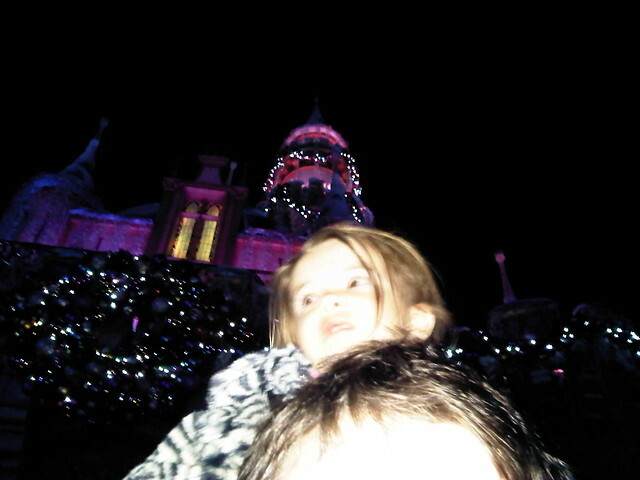 Now you can tell it’s the Disney tree. In case you’re wondering about the angle, I took a lot of pictures like this because Abigail spent much of the day on my shoulders. Not only my shoulders, but also Mama’s shoulders. 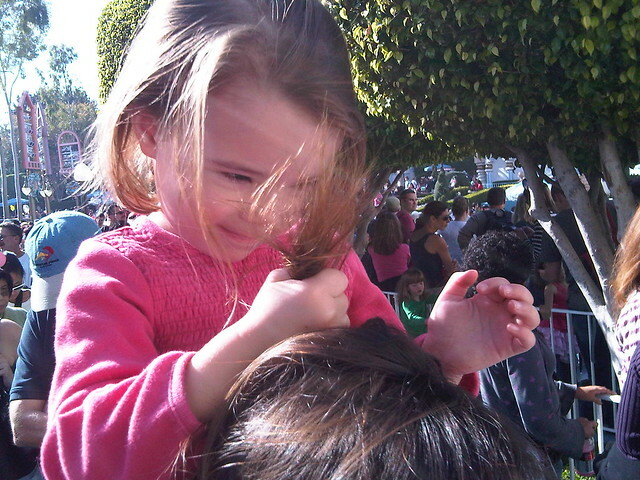 The latter shoulders offer more options for expressing yourself through diabolic hairstyling. And she fell asleep on the drive home. All in all, a pretty good result. And I need to give special thanks to Megan and Andy, without whom we wouldn’t have gone to Disneyland at all. I’ll end it with a shiny castle. This entry was posted in Abigailia and tagged Christmas, Disneyland. Bookmark the permalink.